For the third weekend in a row Jurassic World is the box office champion having beaten off challenges from Inside Out and Ted 2. To date the film has earned $500 million in North America (and over $1.2 billion worldwide) making it the biggest film hit of the year, which is an amazing feat considering it’s the fourth film in a disregarded franchise. Think about it. Of the three Jurassic Park films, only the first one is considered a classic, while the two that followed are seen as inferior, even though Steven Spielberg, the director of the first film, helmed the second one. The last film, Jurassic Park III, came out fourteen years ago and is a weak entry in the series. With such diminishing returns, the amount of time since Jurassic Park III came out and the thin credentials of Jurassic World’s director, Colin Trevorrow, not much was expected of the fourth film. In fact, when the trailers first started making their way through the Internet, many kept snarking about how fake the dinosaurs looked and how dumb the idea was that the film had trained Velociraptors. The Summer of 2015 was supposed to belong to Avengers: Age of Ultron, remember that film? Well, to say that Jurassic World defied expectations is a gross understatement. The question is why is it so successful? There are many reasons and theories. There’s nostalgia for the first film, which has endured for all this time and now the second film has come around to being recognized as a worthwhile sequel. 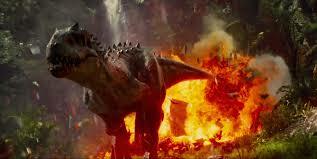 So the public appetite was there for more adventures at Isla Nublar. Another reason has to do with the universal (no pun intended) appeal of dinosaurs. Out of a crowded summer schedule filled with superheroes and explosions, the sight of majestic and deadly dinosaurs was welcomed by those wanting something different. This leads to another reason; maybe the public is getting tired of superhero films. Avengers: Age of Ultron was over-marketed just like last year’s The Amazing Spider-Man 2, and although it was a huge success it didn’t match the original film in terms of quality and box office returns. The likely culprit for that has to do with that film’s merits and word of mouth. Then that leads to a final point, the word of mouth about Jurassic World and weaker-than-expected competition gave the film legs. But the underlining reason for its success is that it’s a downright fun and well-made film. Jurassic World doesn’t have any pretensions and it isn’t a perfect film, but it accomplishes what it was supposed to do, being thrilling and entertaining. The textbook example of a summer film. Some may think it’s too early to declare Jurassic World the King of the Summer, but consider what’s left; Terminator: Genisys, Fantastic Four, Pixels. Seriously, can anyone expect these films to fire the imagination? 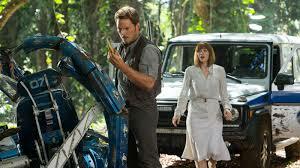 Maybe Ant-Man and Minions will be contenders, but as of now Jurassic World rules the summer!